Hi! I’m Sarah. I may not look it, but I’m half Japanese, half German/French. I’m 27 and in recent years have been guilted more and more by my mom to learn to friggin’ cook. 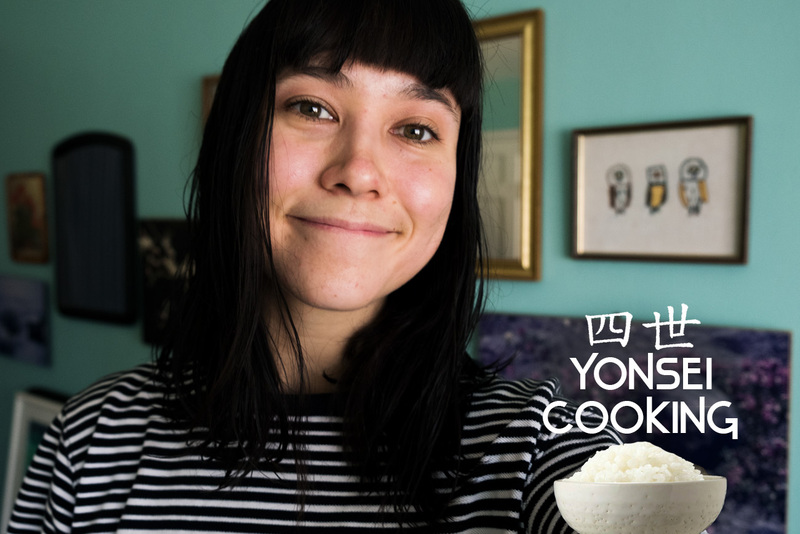 This is Yonsei Cooking, a series where I attempt to make Japanese recipes suggested by my mom and share the journey. So! I’m a Yonsei, which means I’m fourth generation Japanese-American. 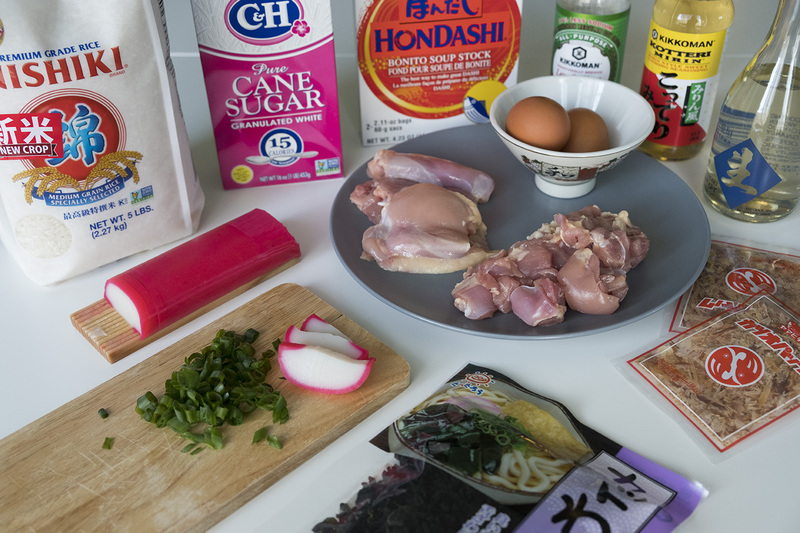 Being JA is different than being Japanese from Japan, and just a disclaimer that what I cook and how I do it…will not be 100% “authentic.” But I’m doing this in the spirit of learning! 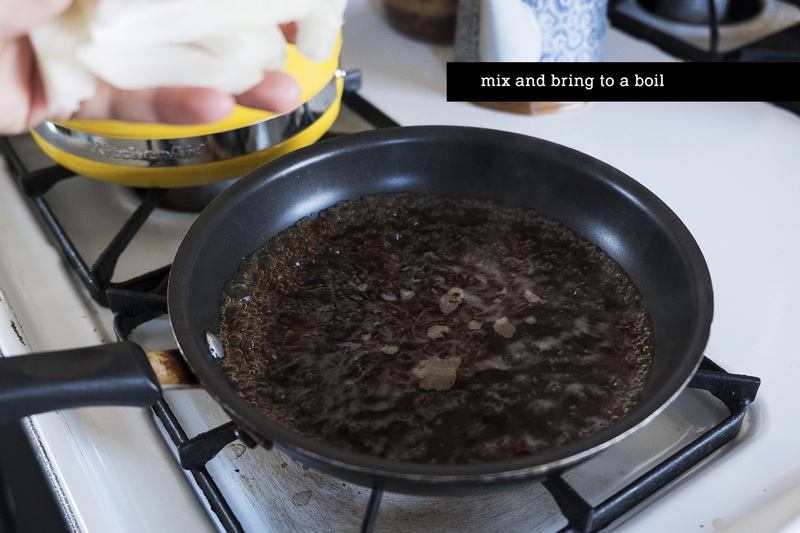 This series is not really about sharing recipes because let’s face it, I’m no fancy chef and I certainly have no illusions about my abilities. 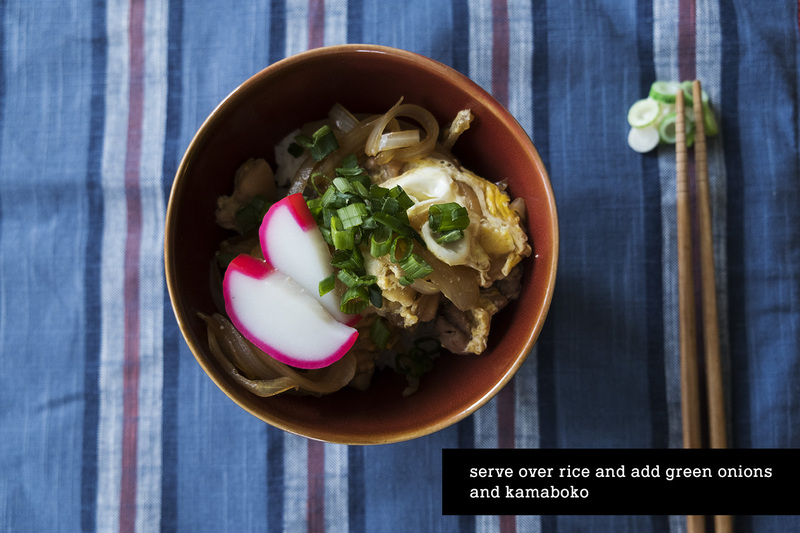 This is a way for me to connect to my family and integrate some Japanese home-cooking into my weekly life and I hope it’s okay I share this all with you. 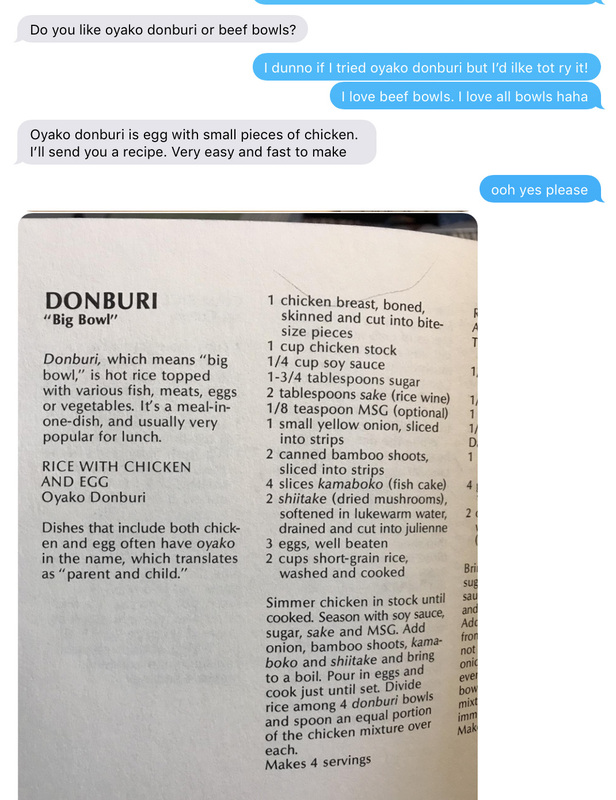 Earlier this week my mom asked me if I liked beef bowls…and why yes, I enjoy anything with rice as a base. 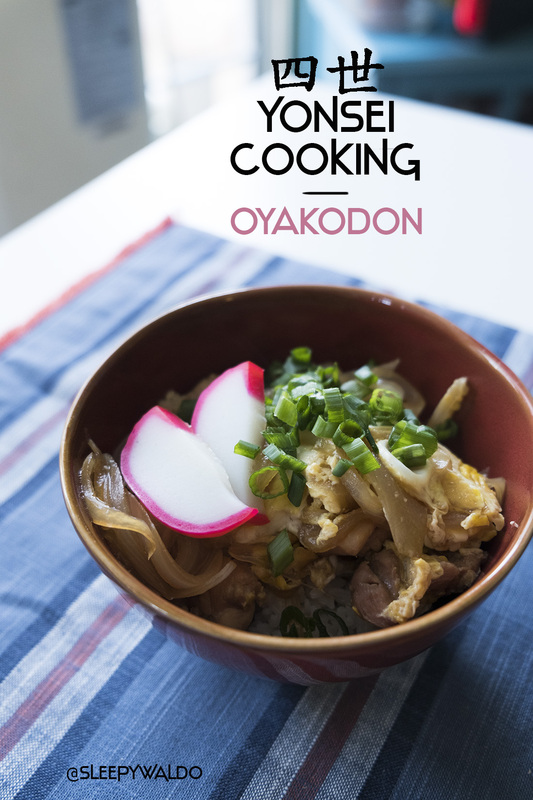 She sent me a photo of a recipe that was pretty vague: “Cook in stock!” So I turned back to Japanese Cooking 101 and found an oyakodon recipe that I used as well. 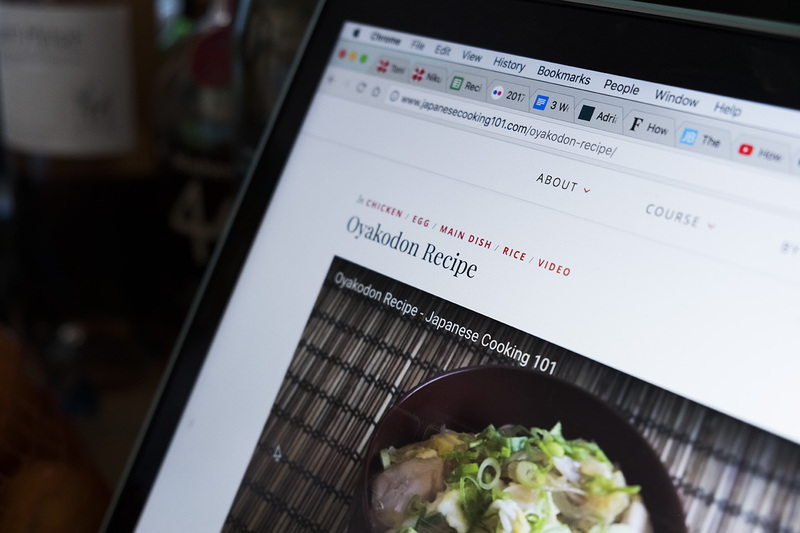 “Oyako” translates to “parents and children” because it is chicken served with egg. 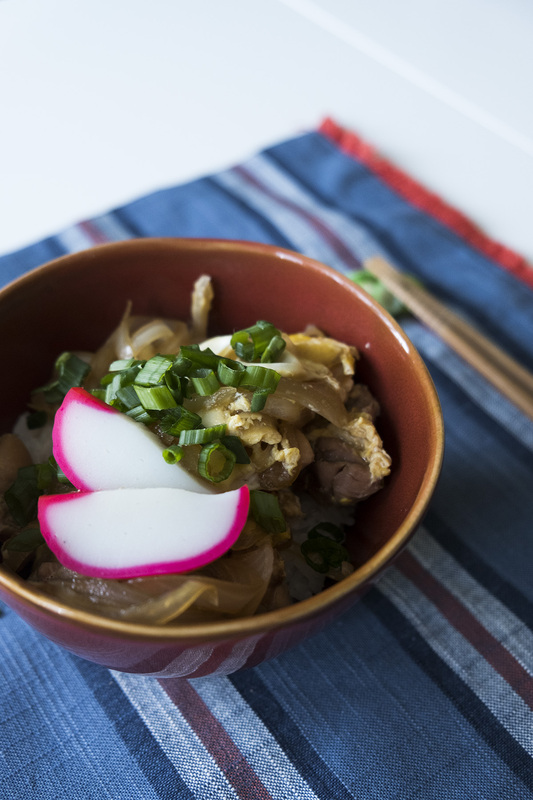 “Don” is short for “donburi” which means served in a bowl. 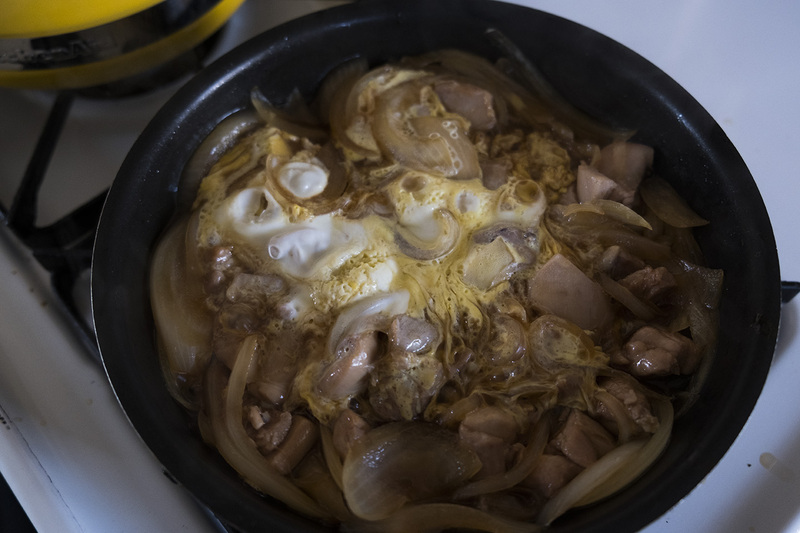 Oyakodon is not a fancy dish. 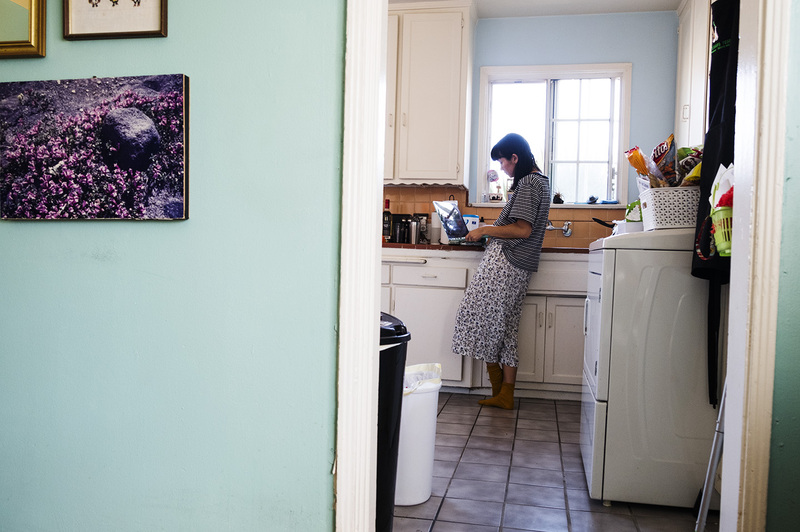 It isn’t something you’d get out to dinner—it’s a simple lunch. 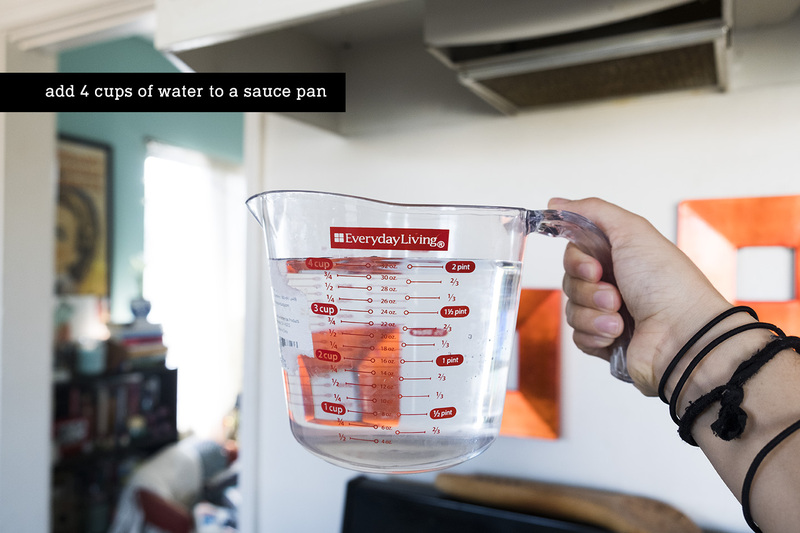 You can find it at a casual restaurant in Japan, or more often you can make it single serving for yourself at home. But it’s very tasty, healthy (everything is boiled, no oil! 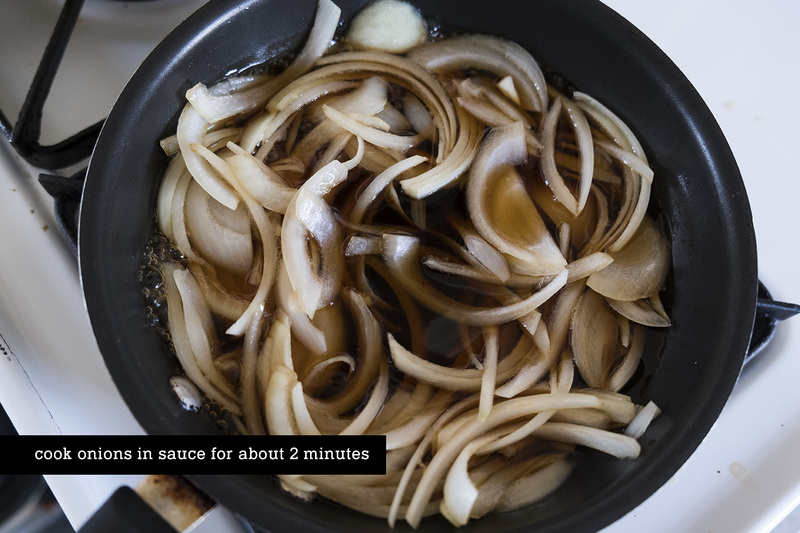 ), and you can adjust and add veggies and toppings to your tastes. 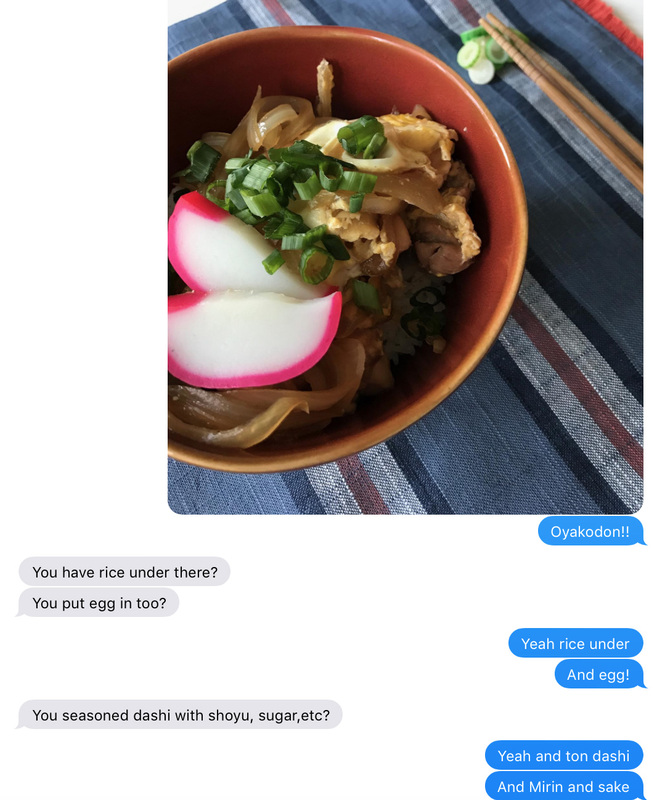 Earlier today I was out running some errands and decided to stop by the Japanese market and texted my mom about making the oyakodon. 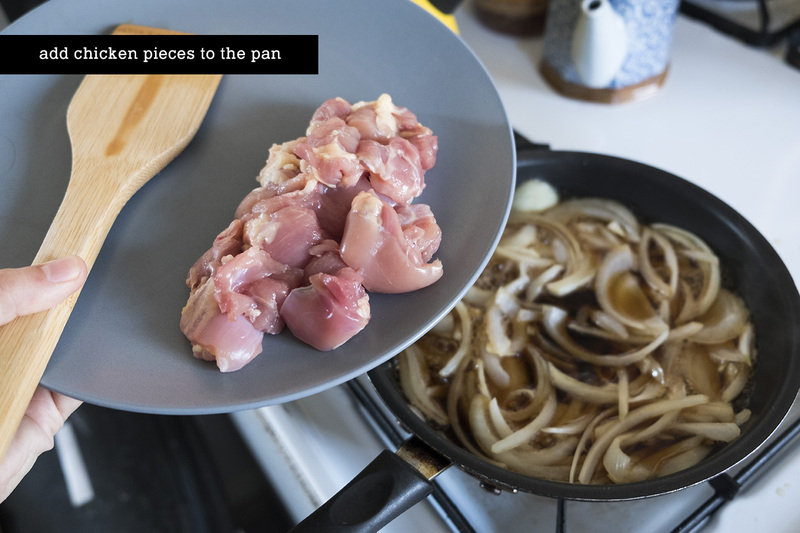 She advised to use thighs and to cut the chicken thin. 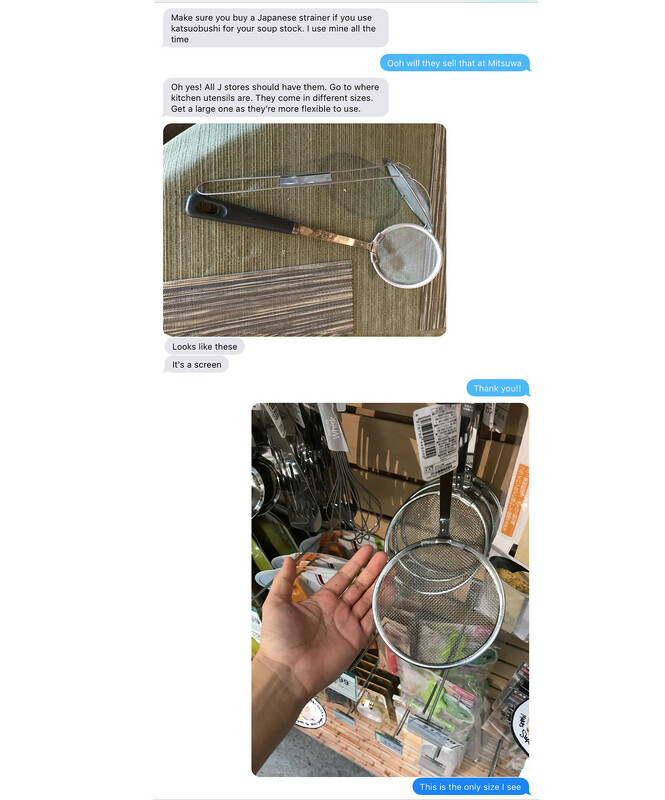 I was also advised by my mom to grab a strainer at the Japanese market. Love my trusty new friend. 4) Egg! 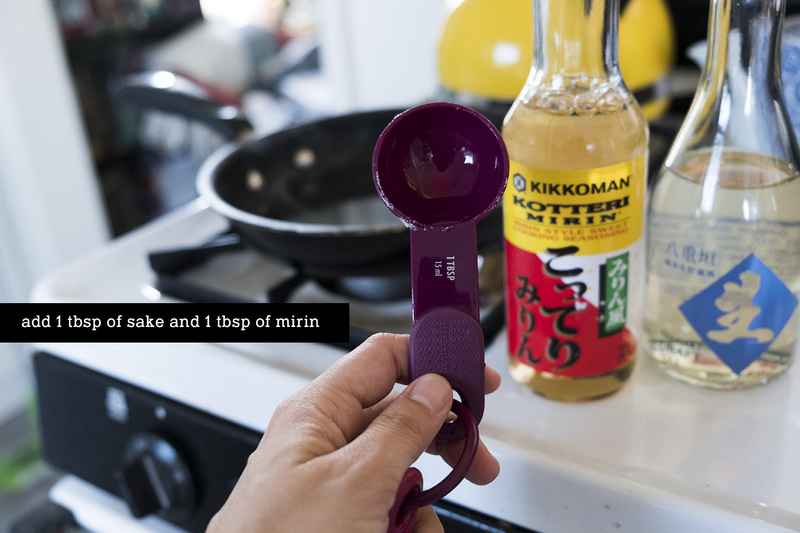 And serve over rice. I’ll take you through the details of what I did. First! 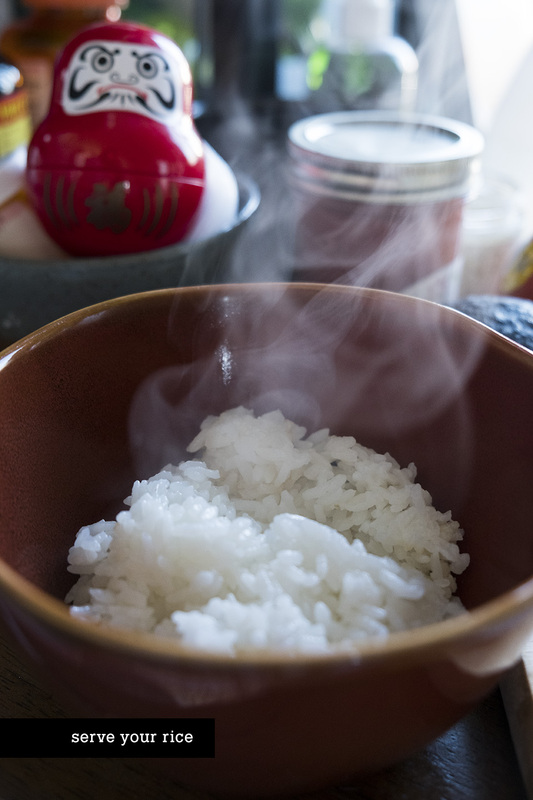 You should probably make your steamed rice. That’ll take the longest of anything else. 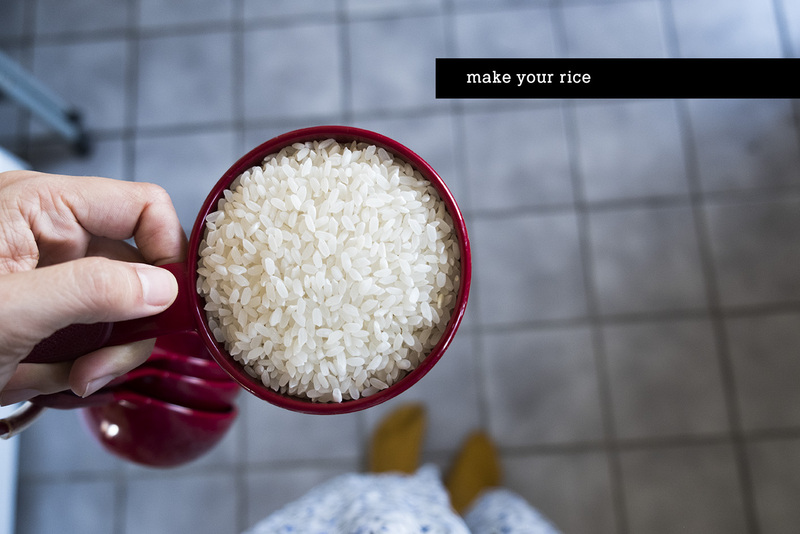 I made 1 1/2 cups of rice with 2 cups water. Brought to a boil and then left to simmer for 16 minutes or so. 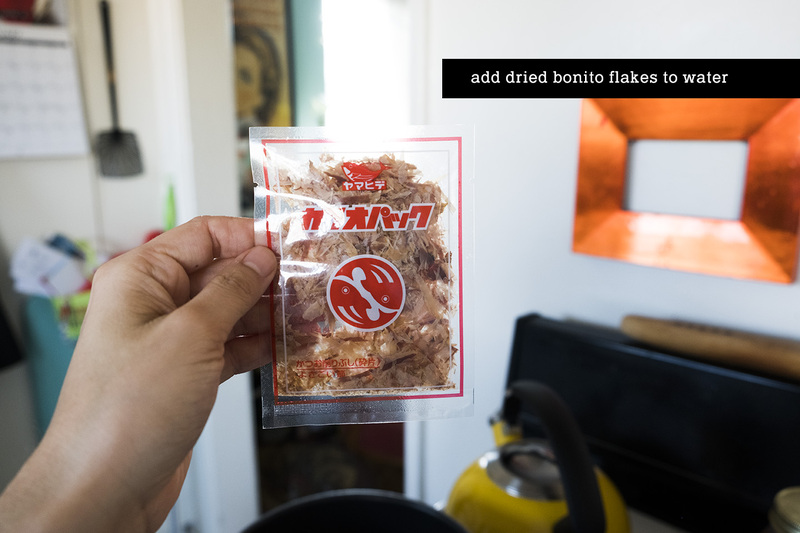 Add a packet of dried bonito flakes. 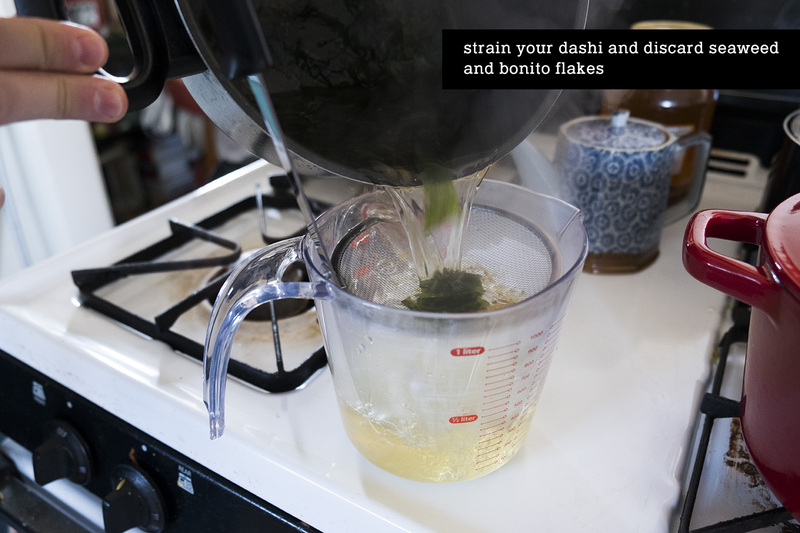 Japanese Cooking 101 also has a dashi recipe if you want to follow that. 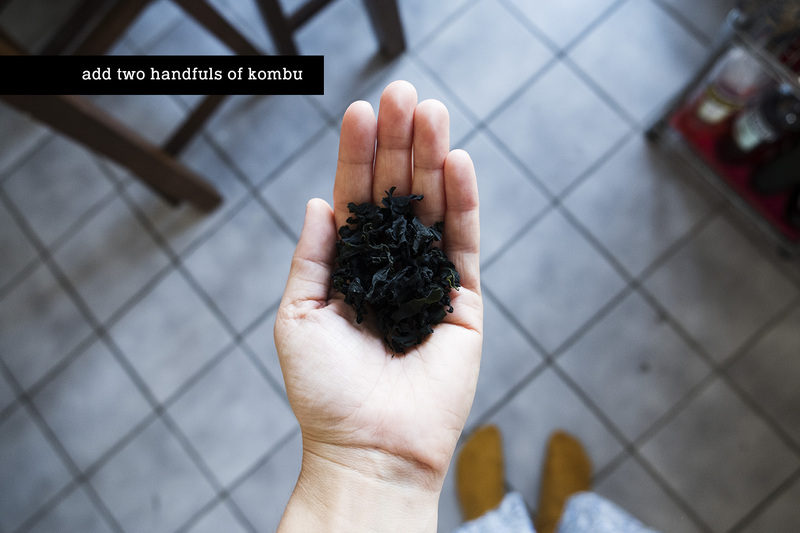 Add some kombu to the water as well—my mom gave me this size but she recommended getting slightly bigger pieces of dried seawood. Bring to a boil and then let simmer for about 3 minutes or so. 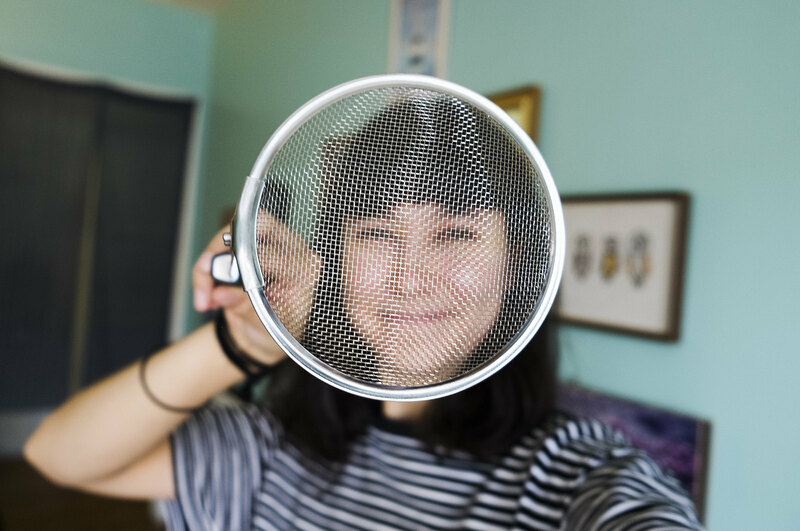 Whip out your trusty strainer. 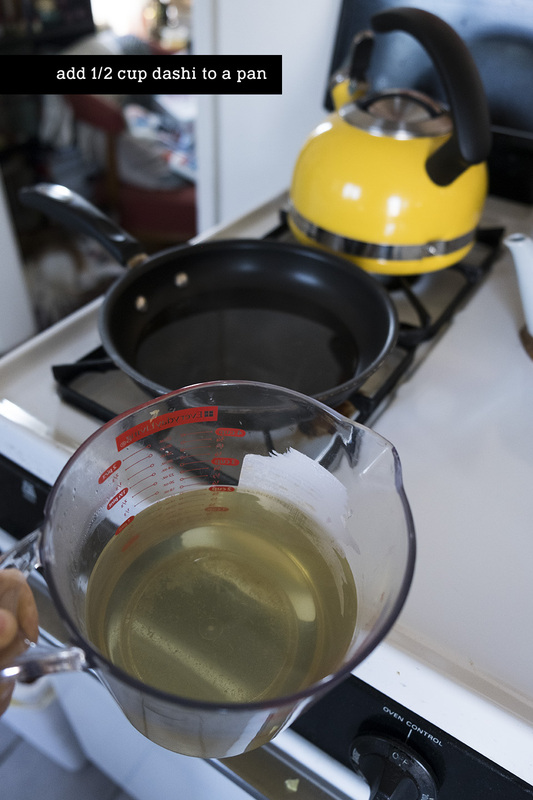 I poured my dashi into a measuring cup and later transferred the leftovers into a mason jar. 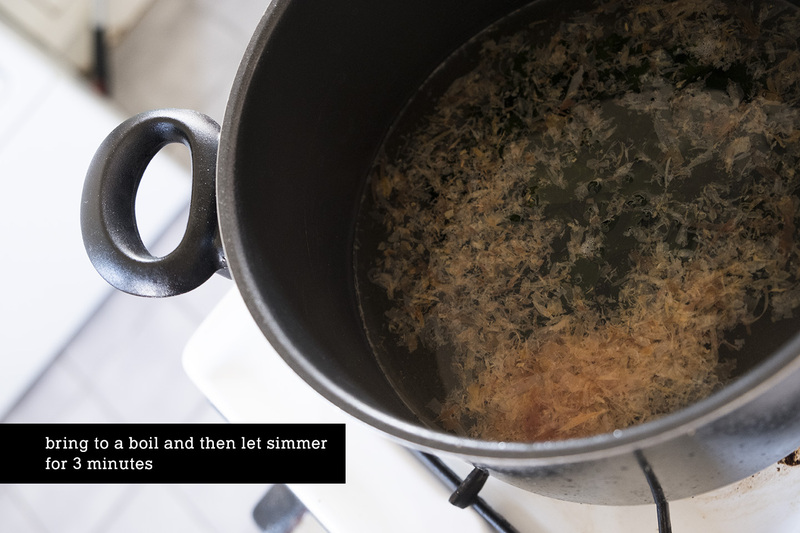 My mom said that the dashi is okay in the fridge another week, you can make something else! Time to make the sauce. 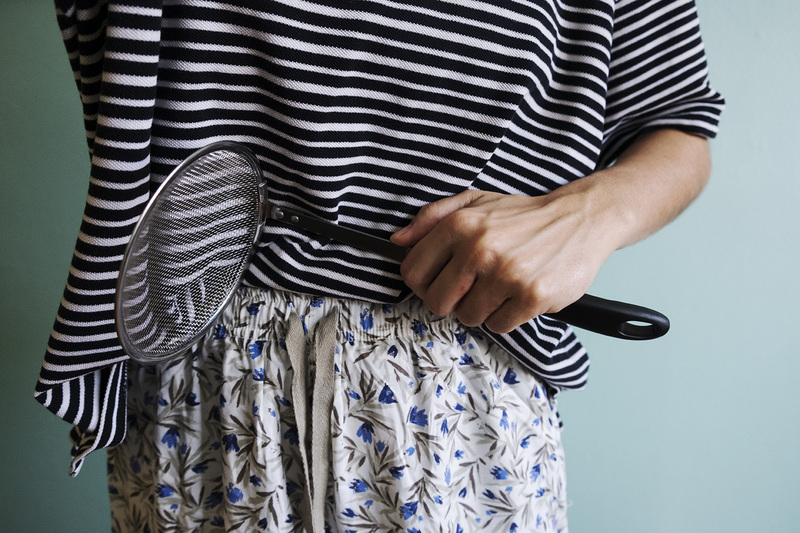 Add 1/2 cup of your homemade dashi to a pan. 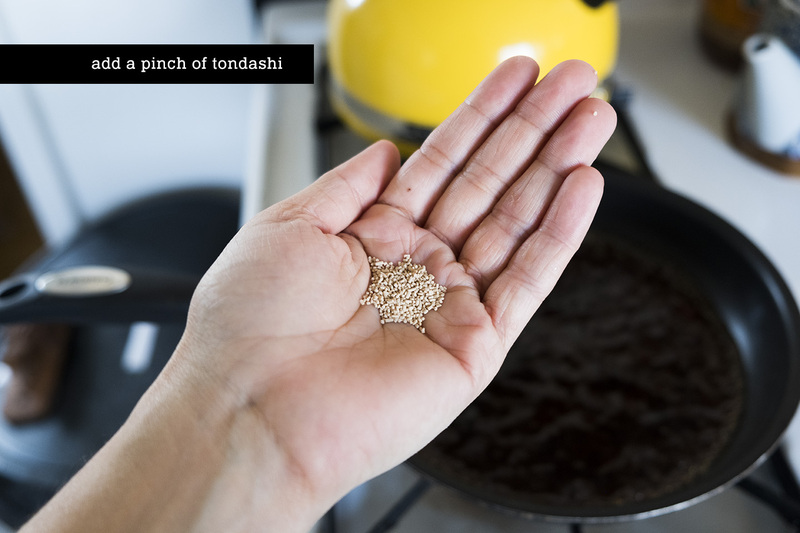 I also added a pinch of tondashi. My mom mentioned that you can use tondashi in place of MSG, it just makes things tastier. Mix this well and bring it to a boil. Shouldn’t take time at all. 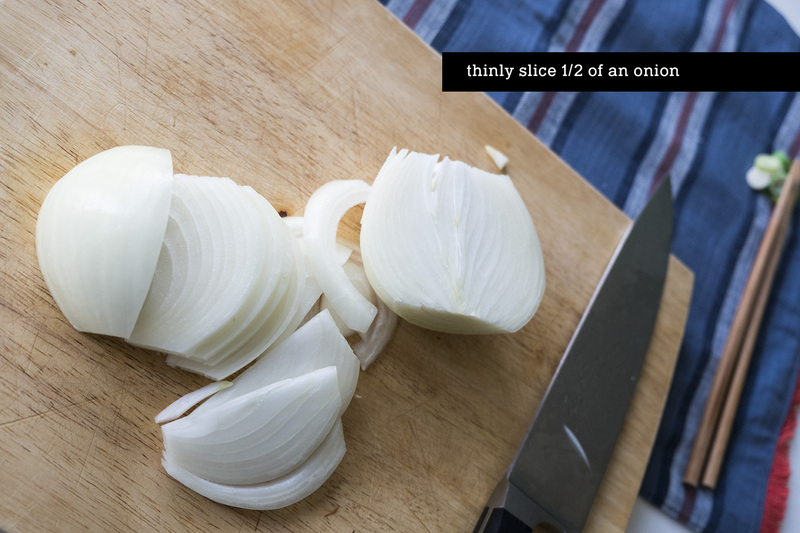 Once the onions have cooked down a little you can add in your cut chicken thighs. 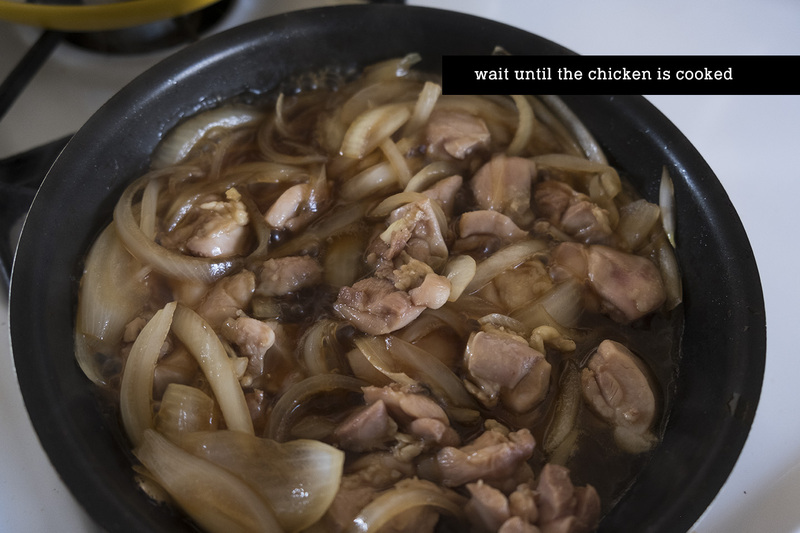 I kept stirring my chicken and onion, making sure the chicken was cooking on all sides. 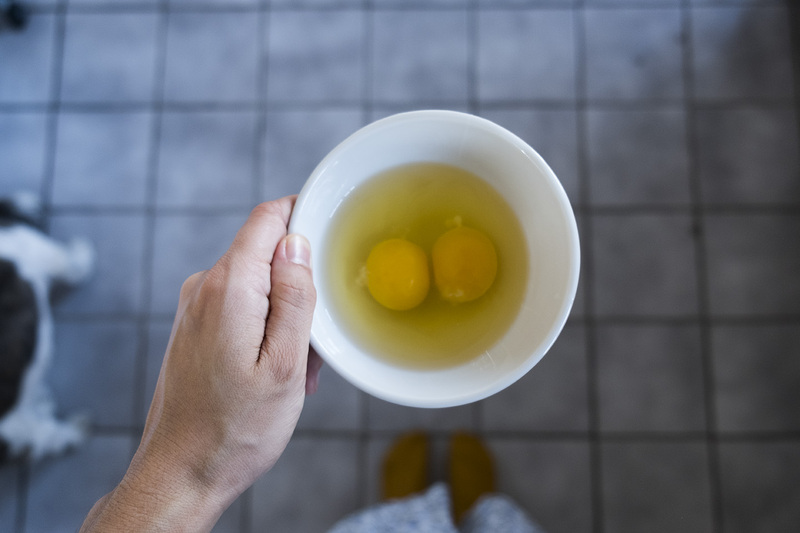 While the chicken was cooking I beat the two eggs in a little dish. 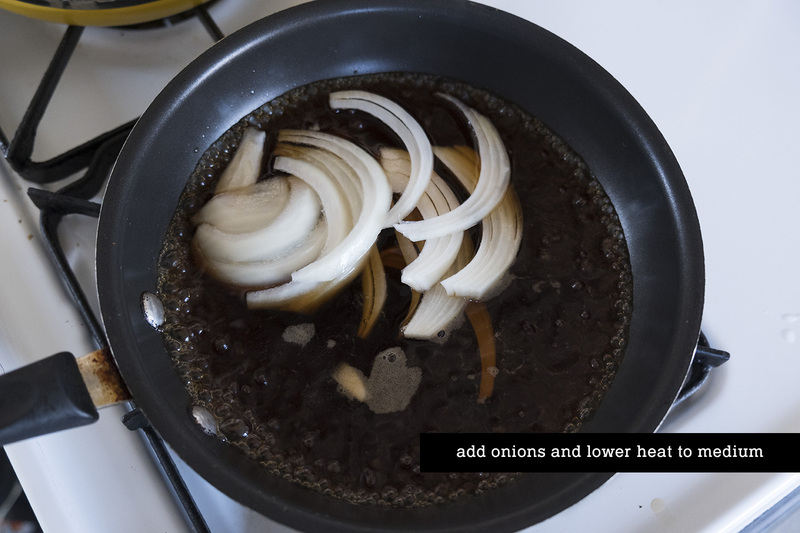 After the chicken is cooked, add the egg mixture over the onions and chicken. 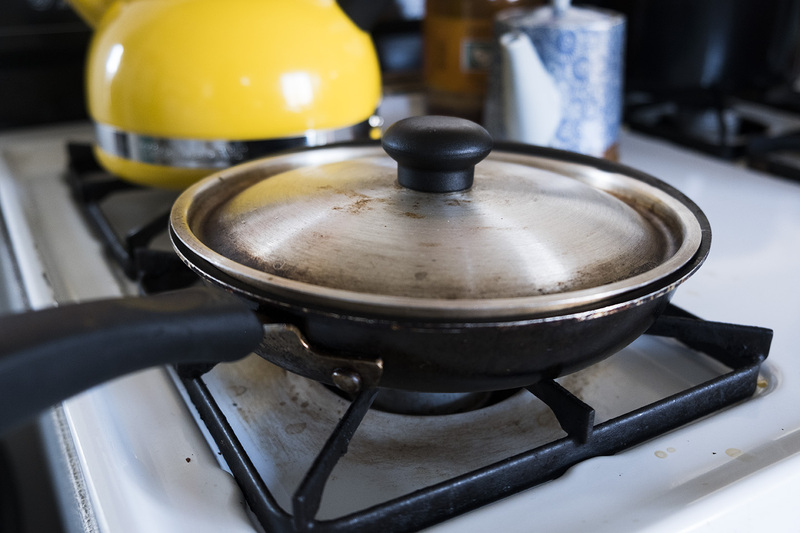 Cover the pan! 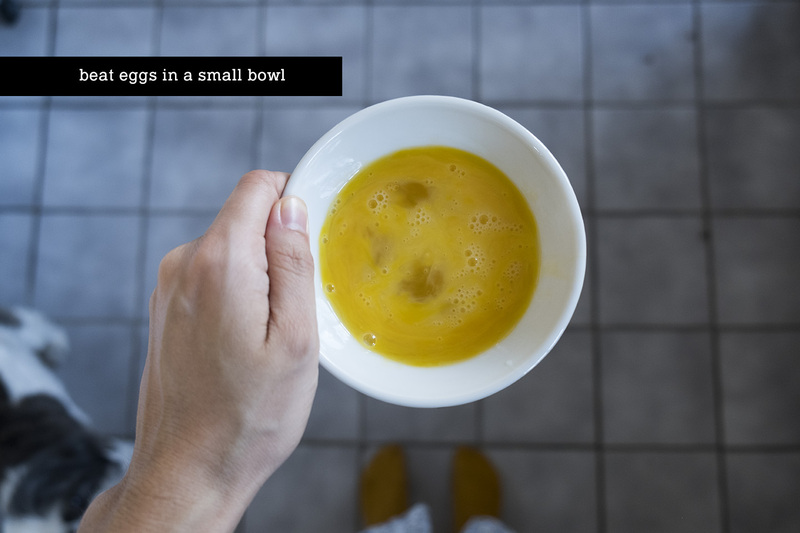 You can cook the eggs for as long as you like—I like my eggs a little softer so they weren’t in there covered for very long. 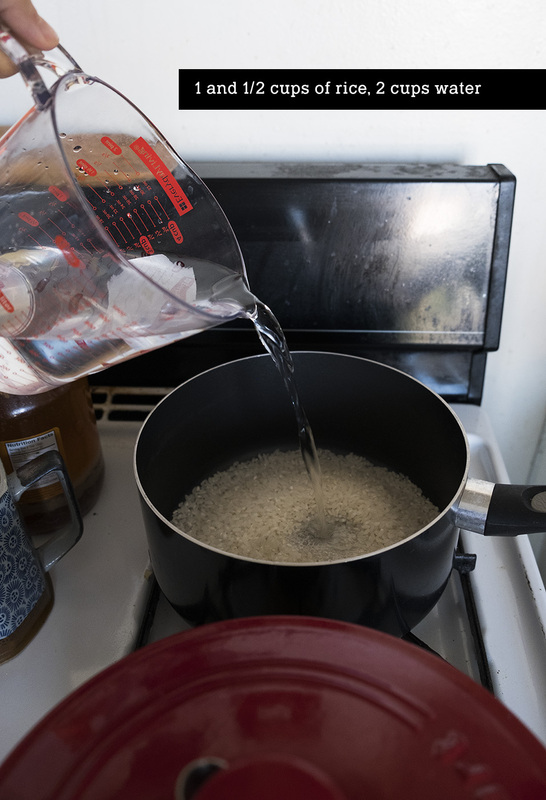 Divide and pour the mixture onto the rice. 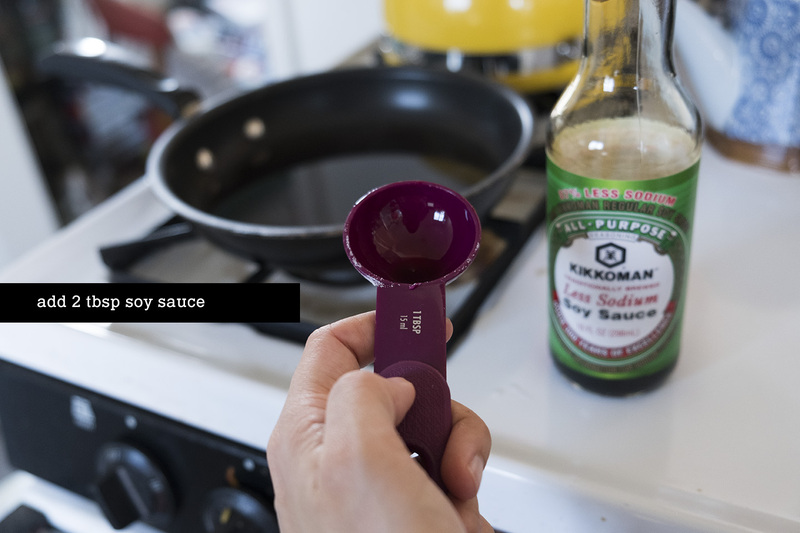 Make sure all the sauce gets soaked into the rice, it’s the best part! 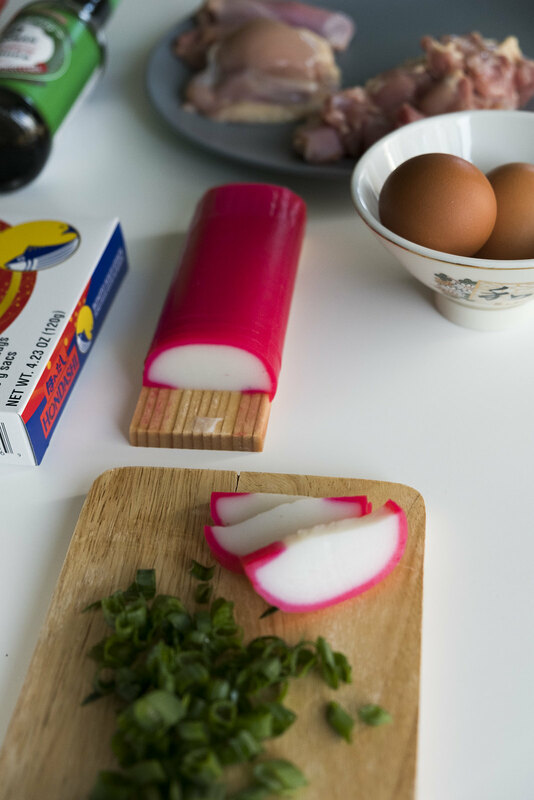 Add on your green onions, kamaboko, and any other garnish you’re into. 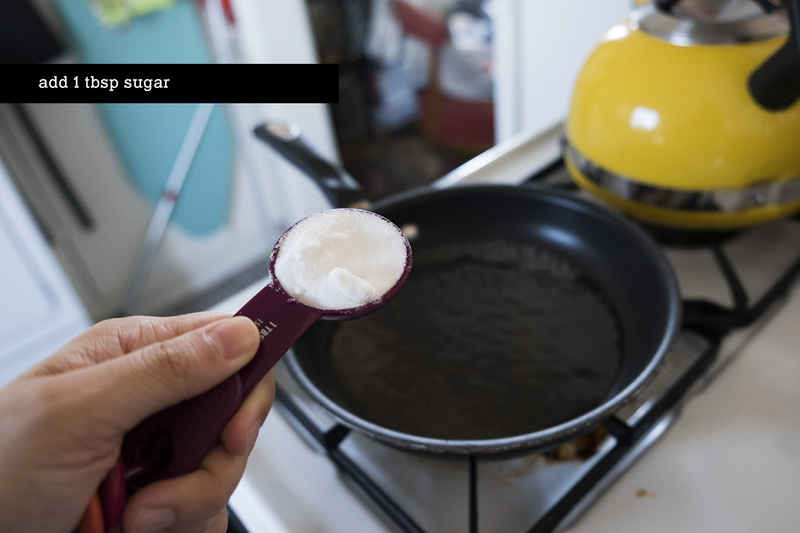 She double checked my cooking technique. 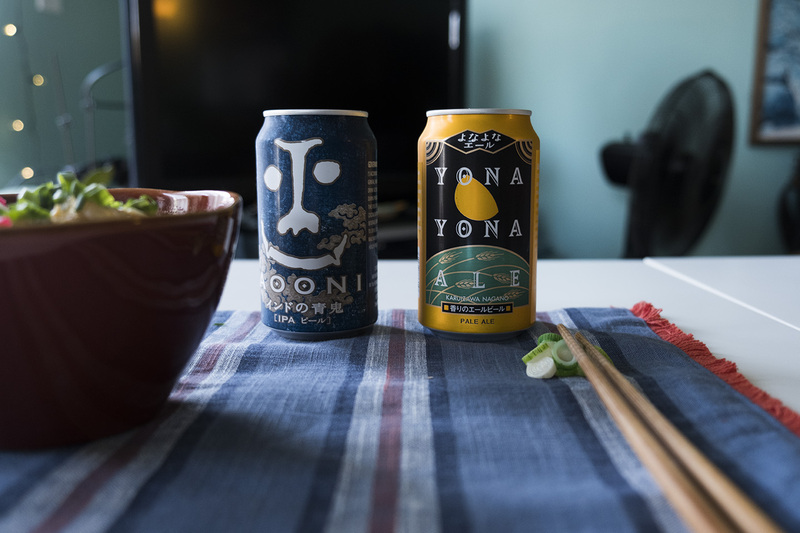 Ate it hot for lunch with these beers imported from Japan. Refreshing! Thank you, mom, for another delicious lunch. Looks delicious! 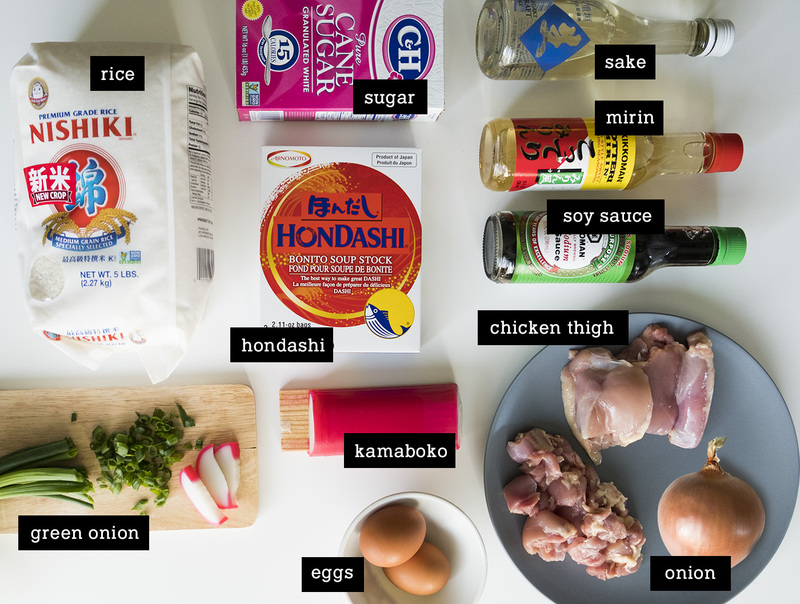 If I can get the ingredients for the dashi I will definitely try to make it! I love donburi! 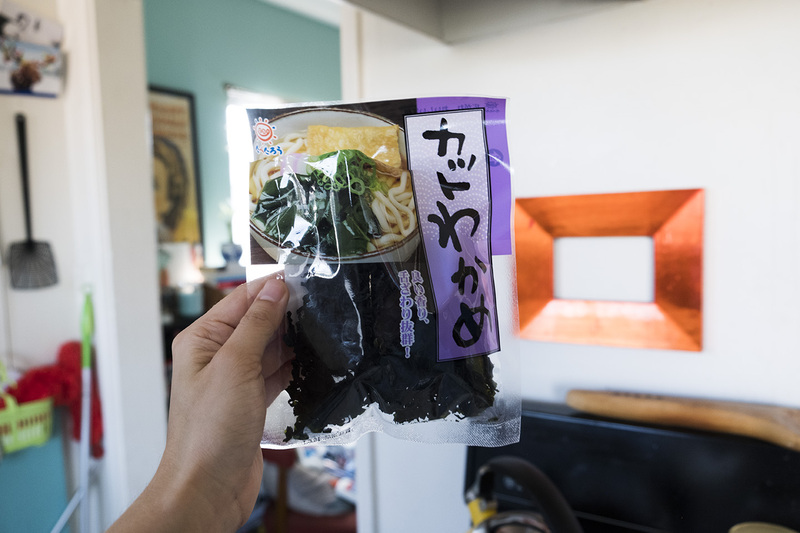 You can definitely order the bonito flakes and dried mushroom online, I saw some ads while on Japanese Cooking 101 ahah.